One of my favorite things about summer is the plethora of fresh local vegetables! I was late putting my garden in this year so I am relying on my local farmers to provide me with the fresh taste of summer that I crave. One of my favorite stops on my way home from work is Rosedale Farms. I practice great self control on this stop because I am so tempted to buy everything. 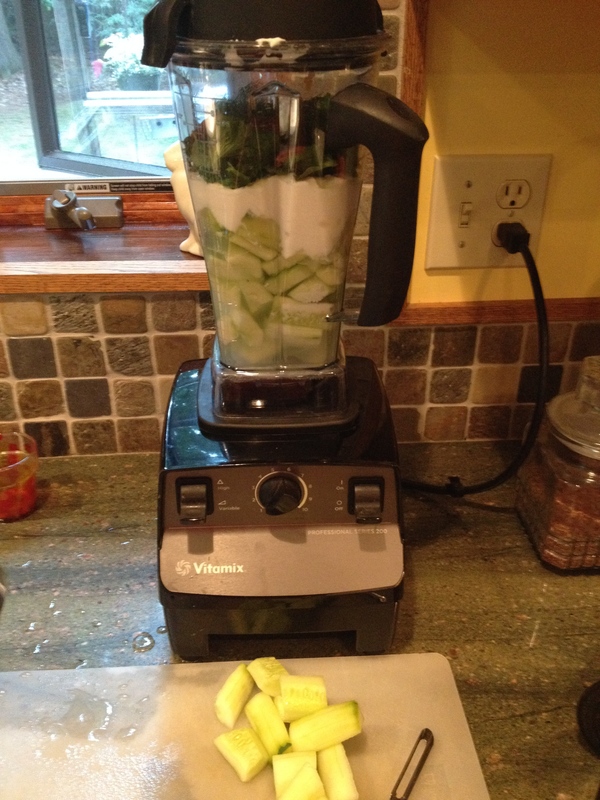 Today, I was drawn to the organic cucumbers and the abundance of zucchini and yellow squash. You can see the proportions here. Don’t worry about being too exact. 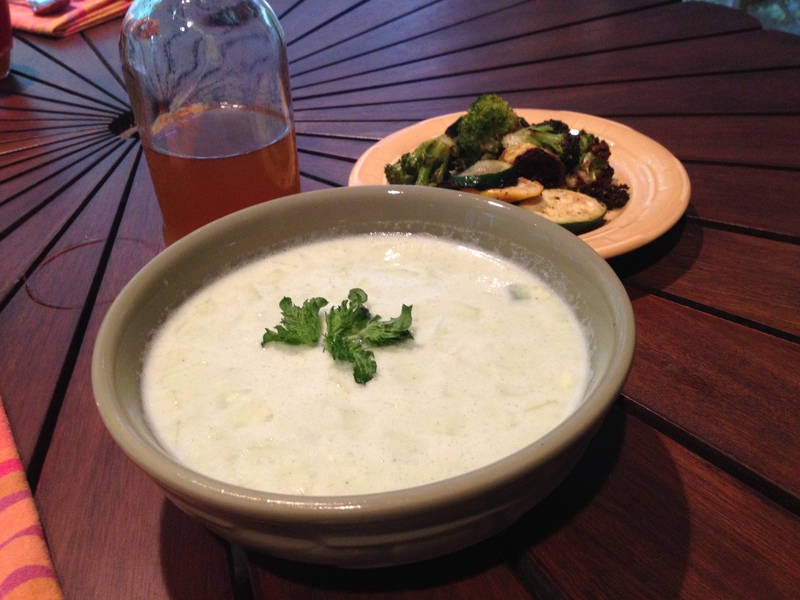 You may not like garlic as much as I do (though that’s just hard for me to imagine) or prefer a more minty soup. This had a nice bite of garlic but the mint balanced it out nicely. I served it slightly chilled. However, it really tasted great the next day after the flavors had melded more. No real recipe here. 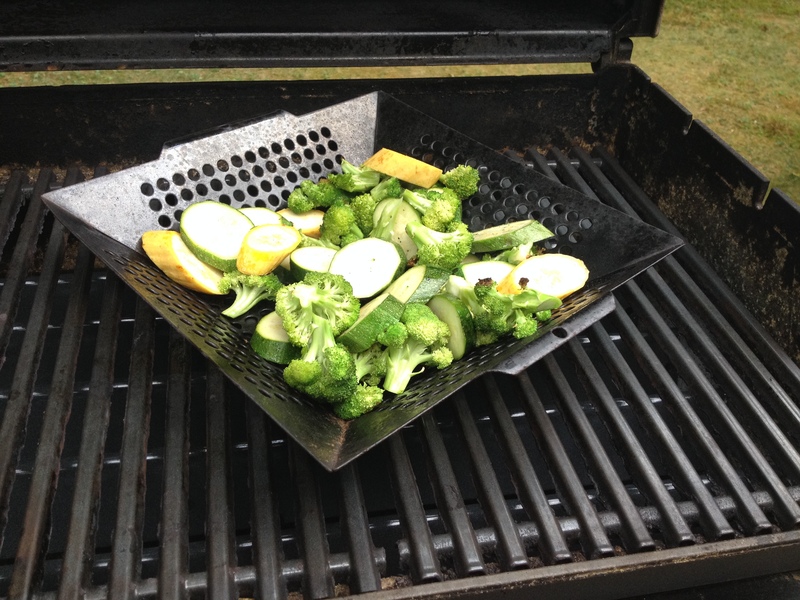 Just slice up the vegetables, drizzle with olive oil and put in the grill pan. 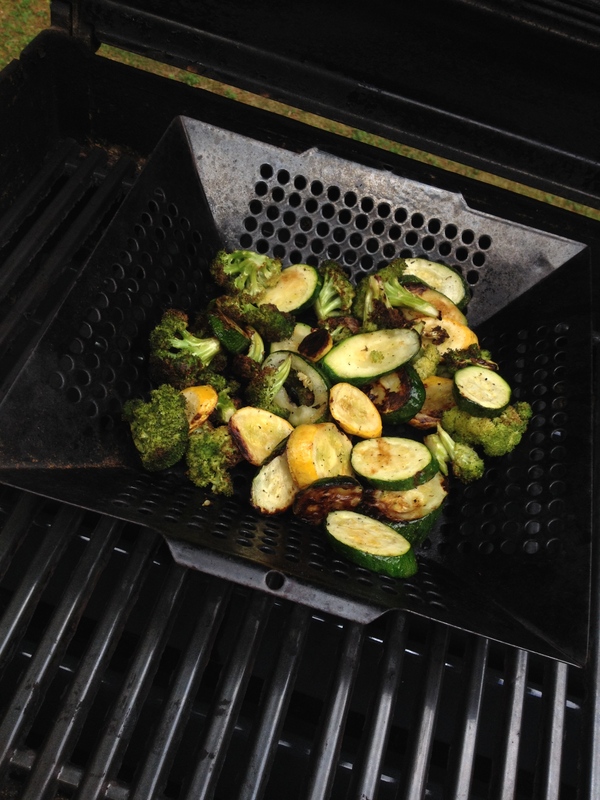 I like my vegetables to be nicely browned, so I close the lid and allow them to cook undisturbed for about 5 minutes at time before I toss them in the pan. When I like the way they look, I eat them! This was a wonderful dinner! I hope you enjoy it as much as we did! Soup, Veggies and Homemade Kombucha!